We invite you to enjoy the following services: Comfortable Accommodation, Fine Dining Restaurant, Best Offerings in Buffet Breakfast, Dedicated Weekend Brunches, Banquet / Conference Halls with equipments and in-house catering options. 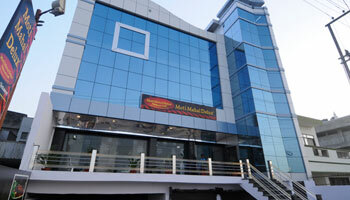 It’s conveniently situated in the heart of the city of TAJ. The Hotel accommodation facilities are amongst the best in Agra.We have Total 12 rooms in our Hotel, Throughout the hotel, design elements appeal to your passion, intellect and senses. Common areas encourage interaction with other guests, but also offer spaces of quiet solitude where you can indulge in moments of peace. Parking, Airport Transportation, Security Guard, Doctor on Call, Laundry Facilities, Room Service, Backup Generator, Travel Counter, Currency Exchange, Breakfast Services. House Keeping, H/C Water, Toothbrush/Razor on Request, Attached Bathroom, Wakeup Calls, Iron/Ironing Board, Air Conditioning Room, Cable/Satellite TV, DVD Player. Breakfast Services, Doctor on Call, Laundry Facilities, Parking, Room Service. Paid! Wi-Fi is available in the hotel rooms and charges apply. Free! Free public parking is possible on site (reservation is not needed).